Key Behavior Essentials: "Building Relationships and Supporting Choices"
1. Have you found it hard to get through a day without emotional strain? 2. Do you have a hard time concentrating at home or school due to outside stressors? 3. Is the problem an internal stressor and causing depression or anxiety? Guided Steps Healthcare is committed to providing the key essentials of quality services and support to the community receiving Behavioral Health Services . Jefferson, Lafourche, Orleans, Plaquemines, St. Bernard, St. Charles, St. James, St. John The Baptist, St. Mary, St. Tammany, and Washington Parishes. 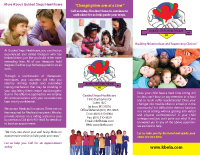 © 2014 Key Behavior Essentials LLC (DBA) Guided Steps Healthcare, All rights reserved.